We gather at 6:30 PM each Thursday during the semester for a free meal and then our main meeting at 7 PM. What to Expect at our Gathering. Our Thursday night worship service is geared to be relational, relaxed, and comfortable. You will feel welcomed as soon as you arrive to our gathering. Our music is lively and connective, the teaching is Biblically based relevant to your life, and our fellowship is genuine and refreshing. Come early and join us at 6:00pm as we pray for our campus together. Click here to find out more information on how to get involved! 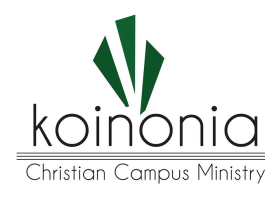 At Koinonia we believe it is vital to connect to others in healthy and growing relationships. Jesus never intended us to go through the joys and trials of life alone. A Core Group is a place for each of us to be real with each other so that we can help each other along toward maturity in Jesus. Core Groups meet on Thursday nights as part of our night of worship. They meet with the intention of helping to reflect on the messages we hear each week, to share life with one another, and to pray for each other. 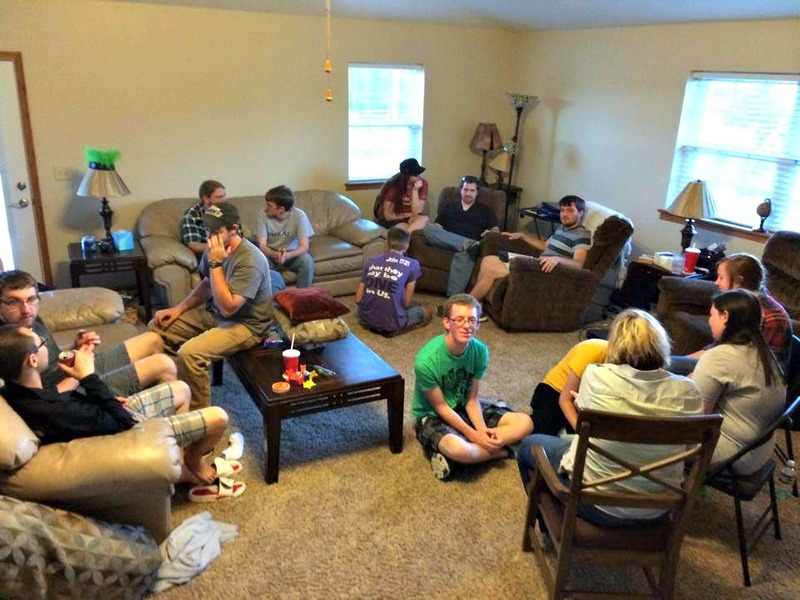 Core Groups are split up by gender to allow more intentional discipleship to take place. These groups are lead by student leaders who help to facilitate the time each group shares together.